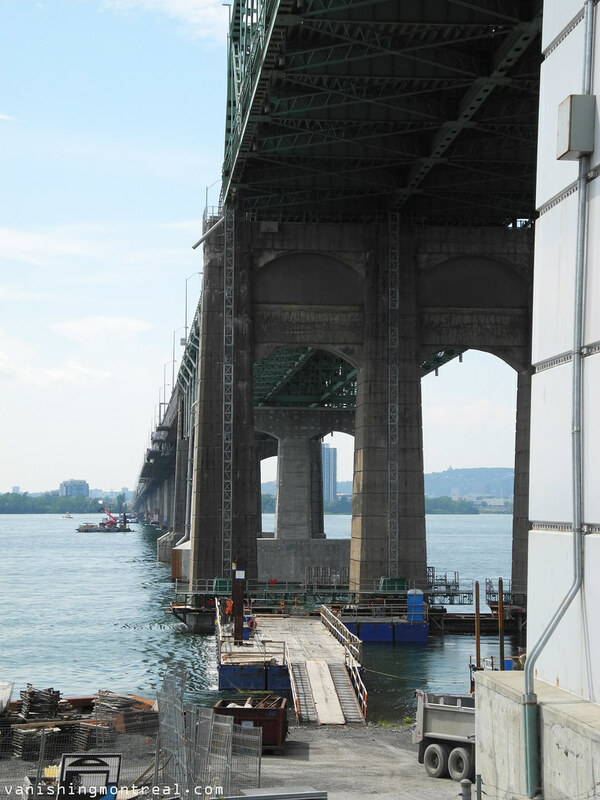 This is part 2 of my coverage on the Champlain bridge which will be demolished in a few years. 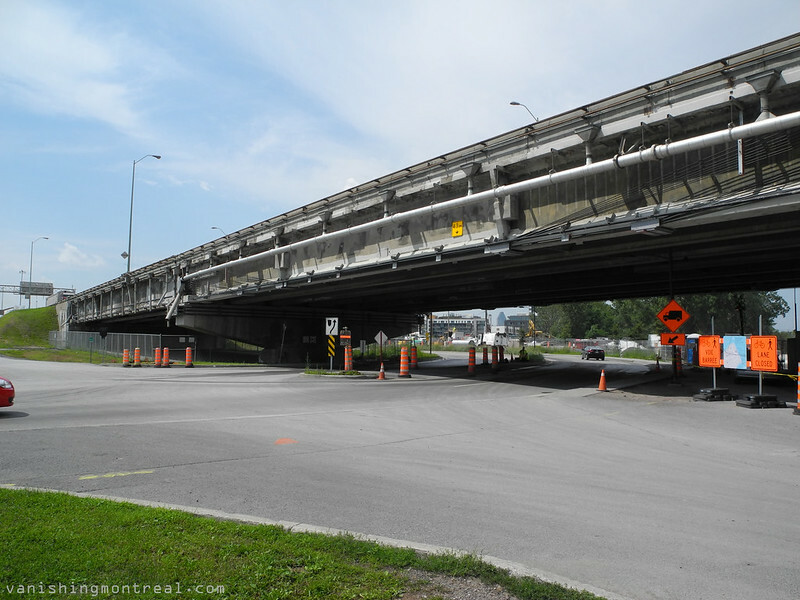 It's a massive undertaking, which also affects parts of Montreal, including the demolition of May street, covered here. 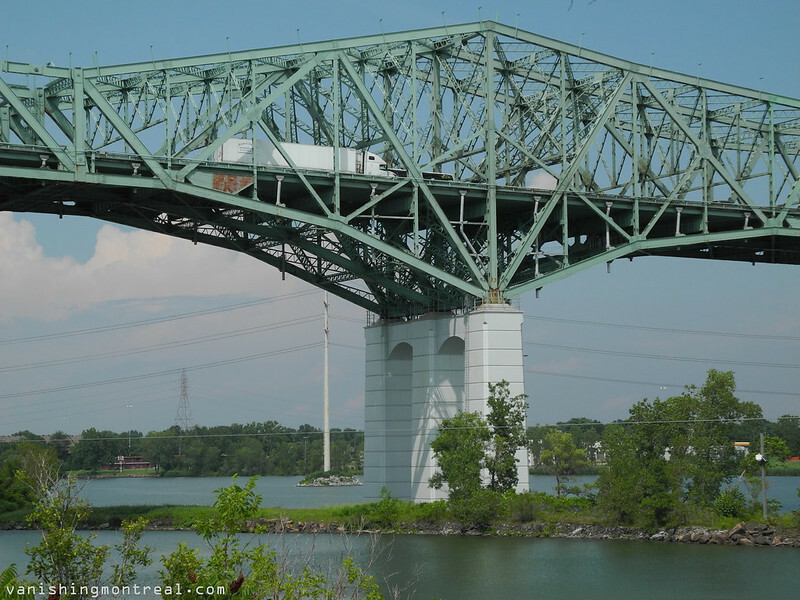 This is the busiest bridge in Canada and it wasn't designed to sustain so much traffic so it's understandable that it needed to go and another one had to take its place. But I like the section around the Seaway. Amazing view in the above photo. 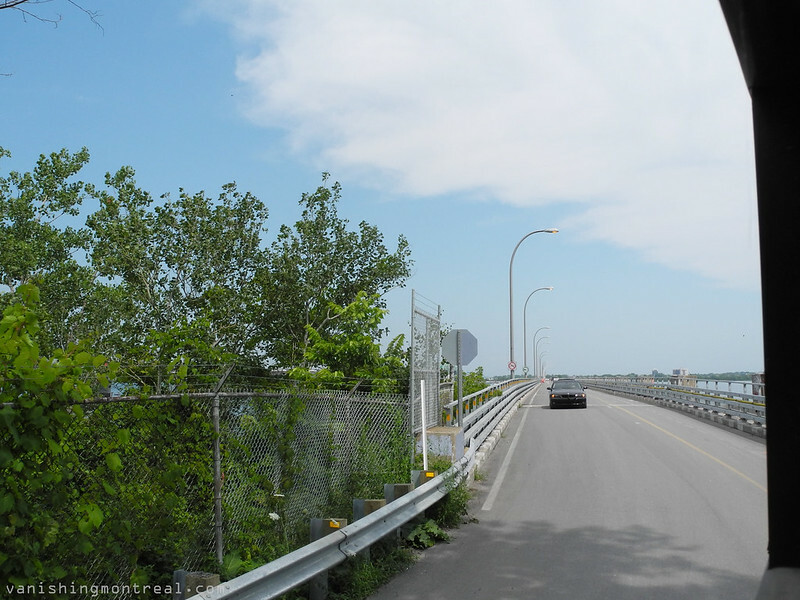 Ceci est la deuxieme partie sur le pont Champlain qui sera démoli dans quelques années. C'est une entreprise de grande envergure, qui affecte également des parties de Montréal, y compris la démolition de la rue May, mentioné ici. 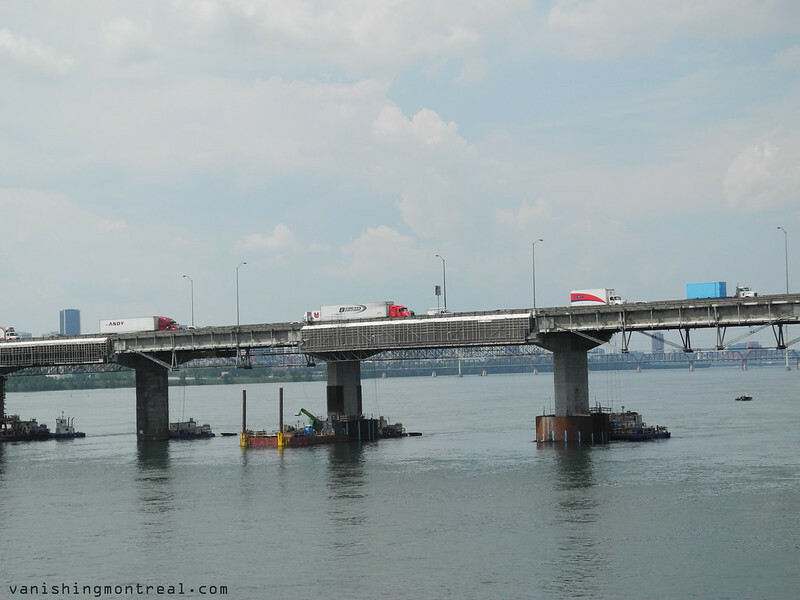 C'est le pont le plus achalandé au Canada et il n'a pas été conçu pour soutenir un tel trafic alors c'est compréhensible qu'il fallait construire un autre pont. 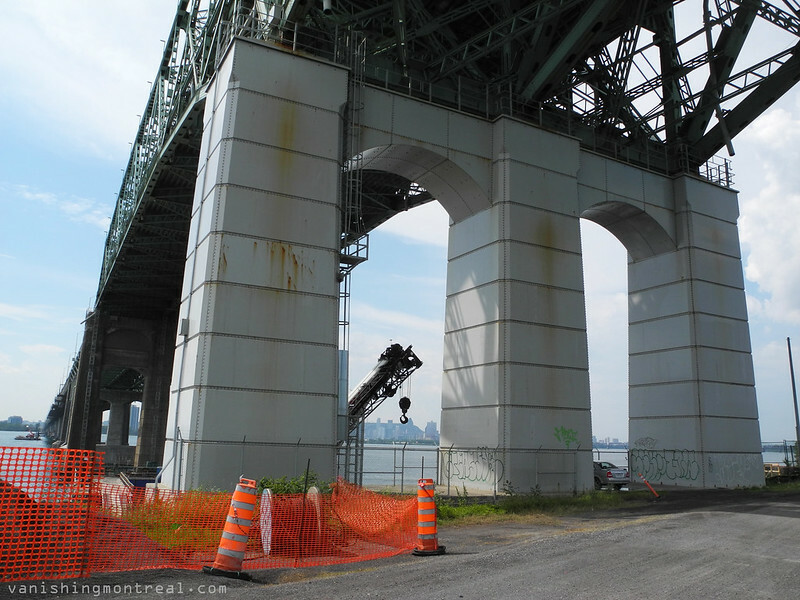 Mais j'aime la section autour de la Voie Maritime. La photo ci-dessus est une vue impressionante. Amazing set of photos! 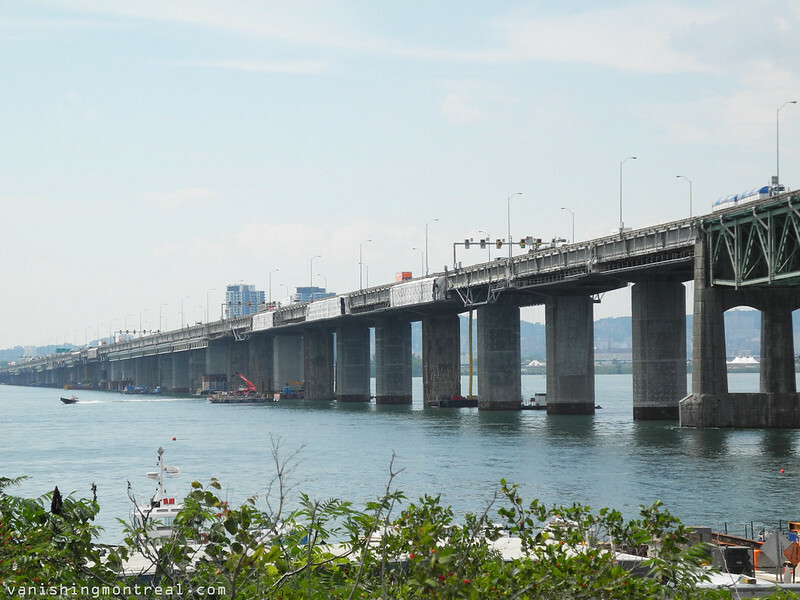 The first one in the series looks like it could have been taken when the bridge was originally built, except for the tower in the background.